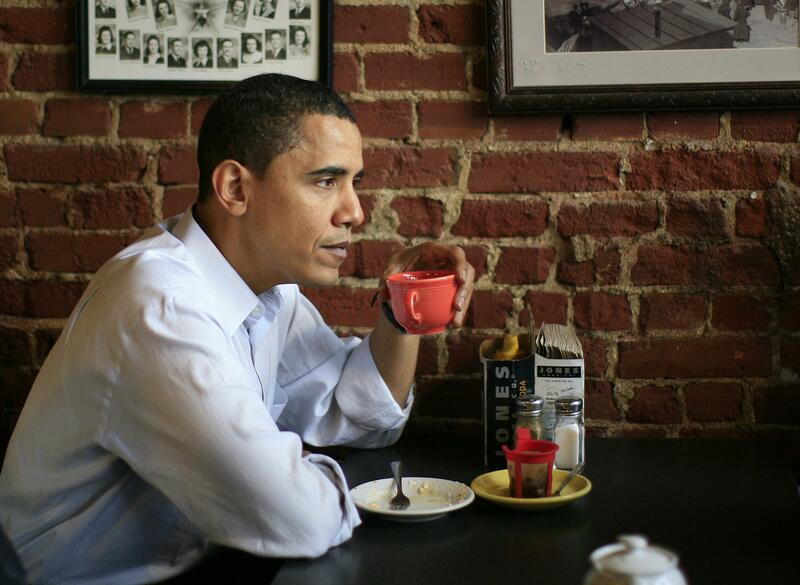 Obama-Vox interview: President says he starts his day with a "thick book full of death." …the goal of any good foreign policy is having a vision and aspirations and ideals, but also recognizing the world as it is, where it is, and figuring out how do you tack to the point where things are better than they were before. That doesn’t mean perfect. It just means it’s better. The trajectory of this planet overall is one toward less violence, more tolerance, less strife, less poverty. I’ve said this before and I think some folks in Washington were like, “Oh, he’s ignoring the chaos of all the terrible stuff that’s happening.” Of course, I’m not ignoring it. I’m dealing with it every day. That’s what I wake up to each morning. I get a thick book full of death, destruction, strife, and chaos. That’s what I take with my morning tea. You can read/watch Part 1 of the Vox interview here, and Part 2 here. BuzzFeed editor-in-chief Ben Smith, meanwhile, is slated to sit down with the president at the White House on Tuesday. *Correction, Feb. 10, 2015: A photo caption in this post originally misidentified the beverage President Obama was drinking. It appears to be tea, not coffee.